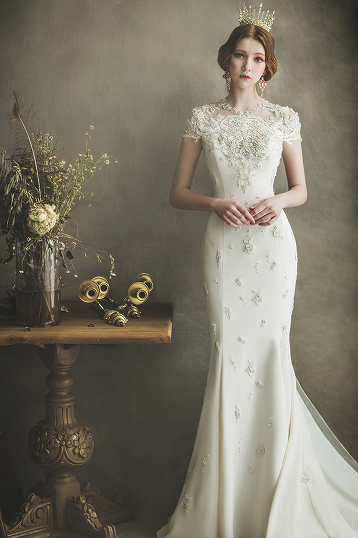 This off-the-shoulder wedding gown from Sottero and Midgley featuring sophisticated bell sleeves is hard to resist! 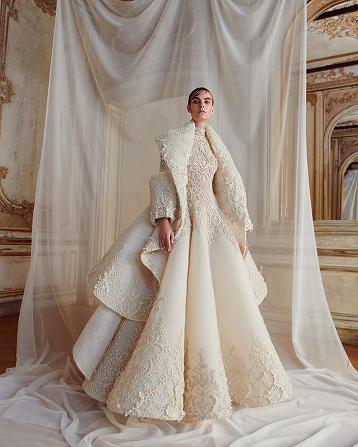 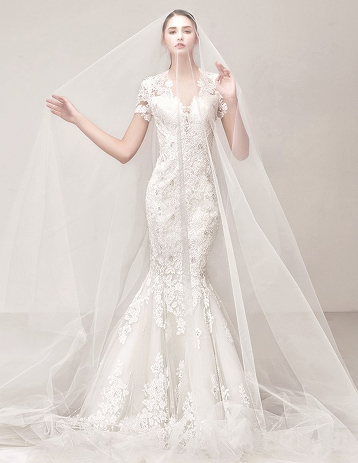 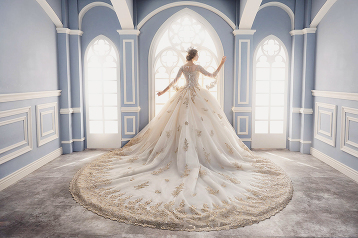 Drooling over this fitted wedding gown from Sanga Couture featuring 3D lace embroideries! 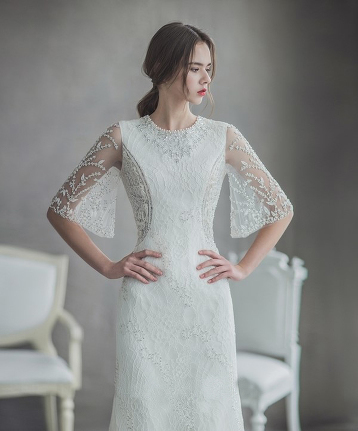 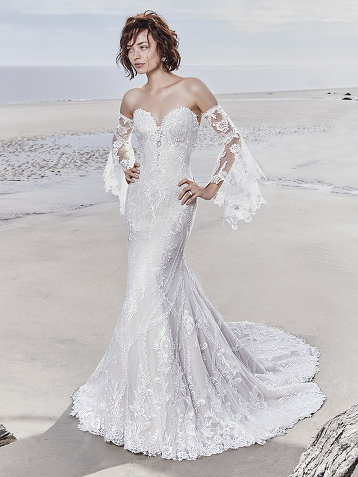 This sophisticated wedding dress from Alexandra Bride featuring delicate detailing and stylish sleeve design is enchanting us with glamour and romance! 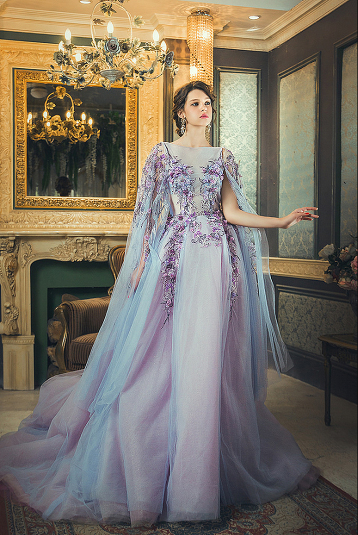 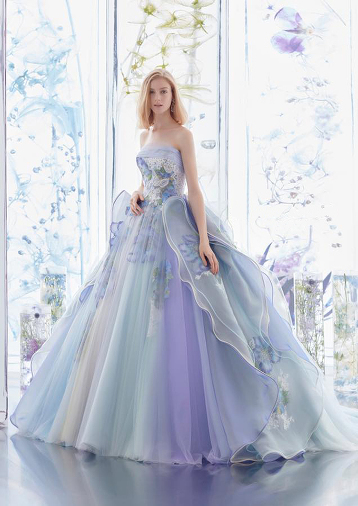 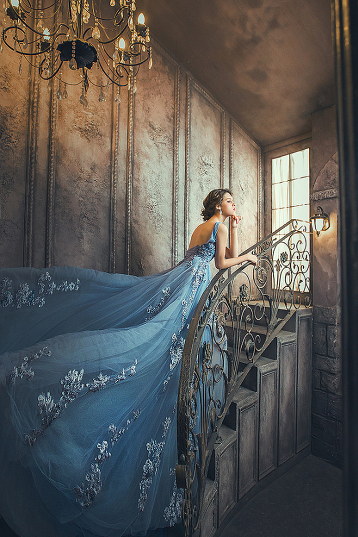 Love at first sight with this aqua blue gown from Scena Duno featuring chic lace embroideries! 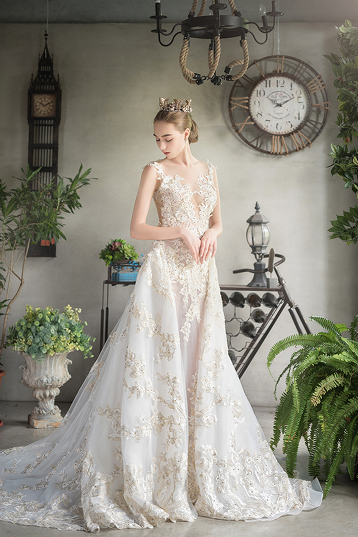 This vintage-inspired gown from Royal Wed featuring sophisticated colorful floral embroideries is adorned with the most elegant details! 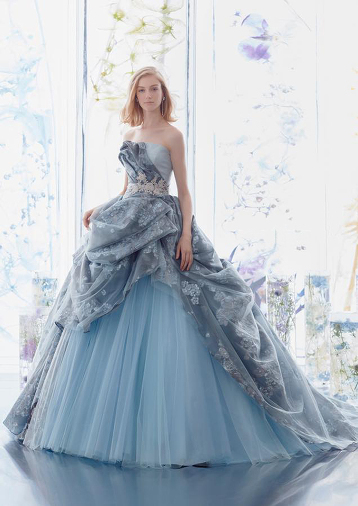 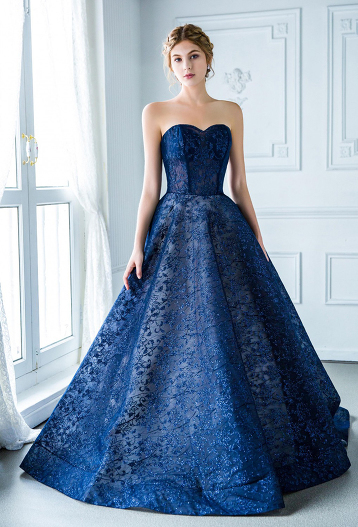 Can’t take our eyes off this charming royal blue ball gown from Digio Bridal featuring delicate lace detailing! 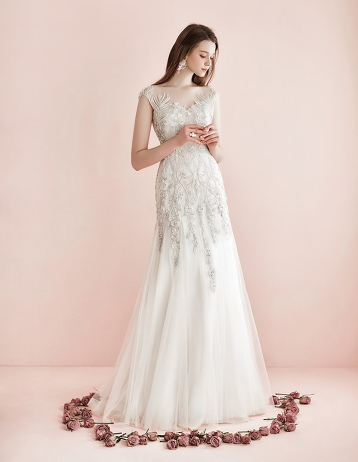 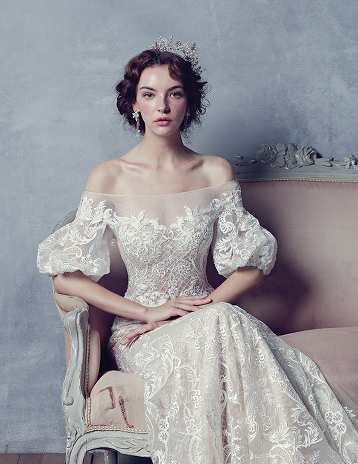 Milla Nova introduces this chic laced wedding gown with decidedly modern twist! 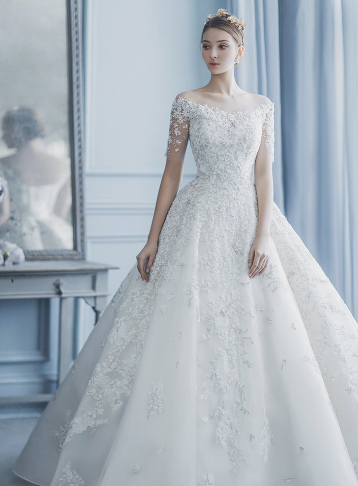 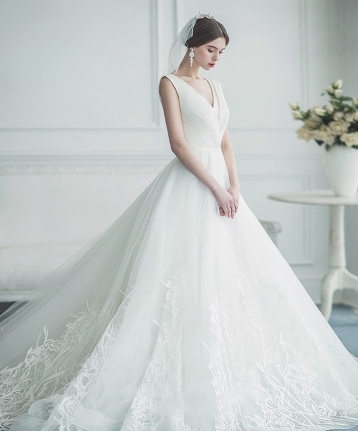 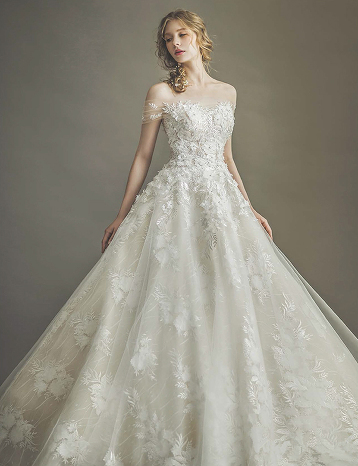 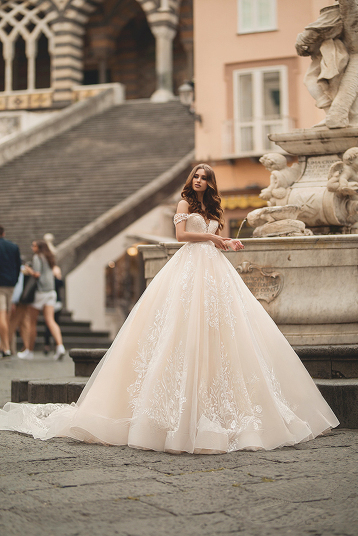 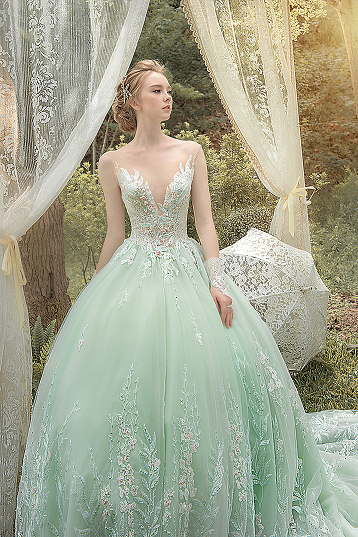 Feminine, chic, and elegant, this wedding gown from Ginger Wedding is beyond incredible! 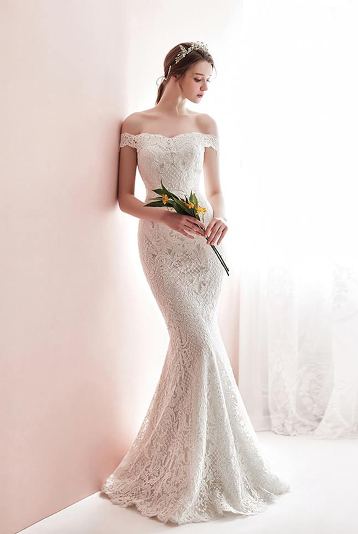 This fitted off-the-shoulder gown from Sanga Couture featuring delicate lace embroideries is hard to resist!